... not at the start. Unless you count hair trims and perming as creative! Once I'd got those outta the way, I had TWO days in my craft room. Yay! from a private swap with JANE TAYLOR. we were both involved in LET'S DECEMBER DAILY. And I got some goodies too! How lucky am I? Soooo, Jane is a member of the UNIKO stamp team, I think. I’m pretty sure these mandalas are a stamp of theirs. Could be wrong. I made it into a card. AND GO ME---- note I used a tassel! The Project Life 3x4 card I've used on this is from TANYA LEIGH DESIGNZ in NZ. I really like this set, which has some wonderful, heartfelt sentiments. The sparkly bits were gifted to me by JO TRITTON. I'm slowly using them. They're sooo pretty!! Behind the vellum I've sort of created a shaker packet. Originally it was an open pocket! Adore that bg paper from COCOA VANILLA STUDIOS too! with my scrapping. 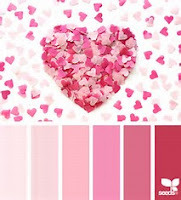 And of course, these colours are my favest!!! There are actually quite a lot of layers behind the photo. Including vellum & tissue. But I've kept them just peeking out. I am liking this idea atm! Up top I've done another cluster. I am really enjoying adding sequins atm, too!!! I have done sooooo many more pages in the last 3 months. never ending pile of photos! Not that I ever anticipate reaching the bottom. Hahaaaaaaa……bet it’s a resounding ‘no’ to that! Almost the weekend if you’re in Aussie. and looking after the eldest over night…. so it will be a busy but fun start to the weekend here! Whatever you do, wherever you are, enjoy every minute of it…. Like the London attack with that car. Not nice. Hi Ya Lizzy, humm yes not very good news this morning, rather shocking and sad... and yes prayers for London, and for peace generally.... So glad to see your scrapping, love the cards, fabulous shaker one.. great layouts, and had to smile at the doggies names... how would you call them if they were naughty and you wanted to go crook?? heehe.. i would get tongue twisted.. but great names for cute poochies! The script writing looks amazing, i was going to ask if they were stamps or something cos they look so good.. well done on that.. great photo, now getting photos of instagram... humm i might have to join up with that one too.. I just printed off a few hundred photos at big w, I picked the ones I wanted then hit continue and then it said finalize order... humm thats not right havent edited them yet so went back and edited only to find i now had 2 lots of photos... i was then running late so I just got all the photos printed off.. i will know next time that you edit as you go now... the software has changed on the machines... oh well more to scrap!!! and yes friday again.. already.. i am getting my hair done.. must be the week for it!!! have a great day with your grand boys!! Wow!!!! You have been BUSY!!!! I love love love love all of these!!! That last lo is just GORGEOUS! 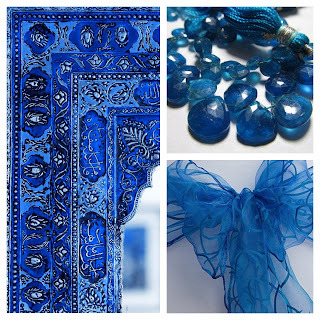 LOVING the blues!!!!!!!!!!!!!!!!! How fabulous to see your gorgeous colours on the Uniko mandela, so pleased you had fun with it. And your scrap pages are glorious as always and totally inspire me. Feeling so blessed to have discovered you as an internet pal! Is there anything you can't do? Writing with a fountain pen too? I'm delighted to hear that you had the time and energy and brain space for some creating. Well deserved! All that in two days?!! Good heavens. I'm obviously way over thinking everything I do! Love the cards and that you are upcycling goodies. I'm must be the only gal in Oz that's not into colouring, but that brilliant mandala could almost tempt me. Awwwh - those dear little dogs, they just make my heart melt. Fab work with the Grand girl and no- I'm never going to get to the bottom of my photos. Have a good week. Hiya Lizzy, WOW... what a fabulous post. LOVE that PL page you got just my style. I have tried the colouring thing and I am not sure I am sold so the jury is still out on that one. The cards are just beautiful and the layouts so cool. Beautiful photo of your girl and the pooches... just plain adorable. You have been a busy girl. So where is the pick of your cut/permed hair.????? Sooooo much loveliness going on here as always!!! You already know I Love your mandela card with that GORGEOUS little tassel!! And that wander layout !!!! 💙💙💙 LOOOVE it !!! I always leave your blog with a happy pleased smile on my whole face ❤ Thanks for sharing snd reminding us to enjoy the little things in life!! !